This book contains information on the basic blackjack strategy, camouflage, special "commando" techniques, card counting, game selection, money management and much more. It also contains Bryce Carlson's Advanced Omega II System. This book is known as the bible for the blackjack players who are more serious about the blackjack games. It gives insights on the numbers and methods that are used to create the card counting systems today. It also has the most accurate and complete basic blackjack strategy. This book is about an easy but powerful system for card counting. It is a great book for those just beginning to learn about card counting for blackjack. This book offers a different form of card counting. This system is simple to learn, unknown to casinos and can generate a higher profit that normal or inspired betting. The book is based around live casino field bets conducted by Walter Thomason himself as well as many other gaming experts. This is the sequel to the 1997 version of Blackjack Bluebook. It has been increased by 40% with many strategy concepts that were not discussed in the first edition. Some of the concepts have never even been printed. For example, Interacting with Other Player's Hands, The Ace/10Front Count, True Fuding with Unblanced Counts, the Magnificent 7 Hands, The Nifty 15 Cafouflage Hands, the Hi Card/Lo Card Layouts and the KISS (Keep it Simple, Stupid) Card Count. This book offers best blackjack tips for the beginner, moderate and expert blackjack players on card counting. It provides information on the basic and well known "high-low" card counting system. 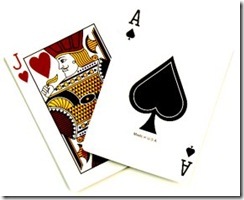 It also offers information on the more in-depth forms of card counting. This book explains beyond the basic strategy for blackjack. It includes methods to adjust the strategy to the rules of the many different forms of blackjack and casinos.